Social media and popular culture is peppered with descriptions about how kids today are mindless zombies who can’t look away from their devices. While some of these illustrations are exaggerated, there’s no doubt advancements in technology have changed preferred past times; where all kids once went outside to play together, now they’re meeting up in virtual playgrounds. Excessive device use can cause a litany of health problems. Consistent device use can lead to neck pain, knots, arthritis, carpal tunnel syndrome, eye strain, poor posture and the list goes on and on. Plus, the blue light that’s emitted from devices has been shown to disrupt circadian rhythms, meaning it interferes with sleep which can contribute to heart disease, obesity and diabetes. These are just physical health problems. Excessive device has also been shown to contribute to serious mental health issues, like depression, anxiety and all-around negative emotions. Curbing your children’s electronic addiction isn’t easy – especially if they are habitual users. But it can be, and should be, done. 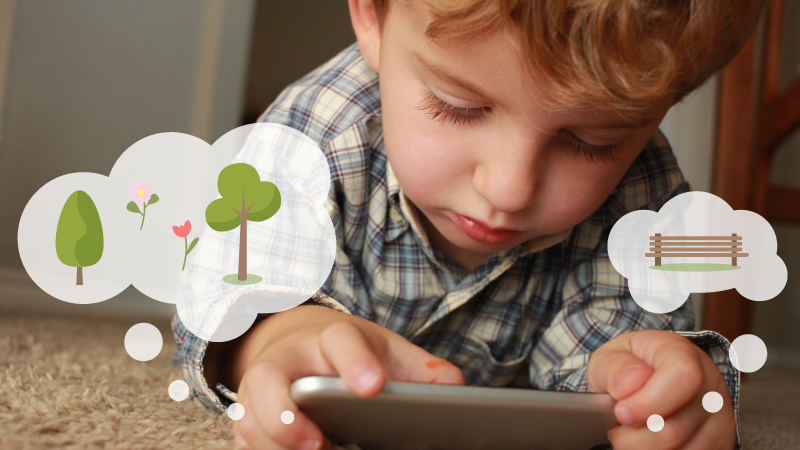 Here are five tips you can use to get your kids to put down the devices. Be prepared with an alternate activity. This is key for your littlest users. Toddlers and preschoolers don’t accept transitions as easily as older kids. Explain to them what’s coming next, whether it’s a fun activity, like painting, or a “must do” like eating lunch or going to bed. Find apps with timers. There are a lot of free apps out there, like OurPact, that allow you to control your child’s device from your phone. They allow you to put use on a schedule, turning off the device automatically at set times, and even block certain websites or apps. Keep devices out of kids’ bedrooms. Taking away the impulse to watch “just one more minute” before bed helps ensure your kids aren’t swapping sleep for phone time. Plus, it puts a stop to any potential struggles before they turn in for the night. Cut off the data. Put a limit on how much data your child can use. Many cell providers have apps that allow you to immediately cut off the data service to a particular line, without restricting call or text use. Your child will start to use their data-time more wisely if they know they have a limited time and, bonus, you will save yourself from overage charges. Create a device contract. Basically, lay out the rules for smartphone and other device use (i.e. no devices at the table) and the consequences if and when your child violates those rules (your child loses the phone for a period of time). The American Academy of Pediatrics offers a Family Media Plan to help parents get started. These tips are a great start to curbing device dependence, but one of the biggest things you can do as a parent is set a great example. Adults can also struggle with too much smartphone and/or device use and if you’re constantly on, you can’t expect your kids to be any different. Make sure to put your phone away while driving, during mealtimes and schedule time to disconnect as a family. Your example will go a long way to fostering a healthy relationship with technology.